Mufti-functional Application: Anti-drop, anti-theft clasp, frees hands and holds devices firmly. Good for watching Youtube and movie and playing music. This is simply the best and most elegant mobile accessory for anyone who has a mobile; it’s so practical that you will think how you lived without one! 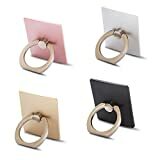 Once fully secure on your mobile or tablet this ring holder can rotate 360 degrees and swivel 180 degrees making holding your mobile very easy in any angle. 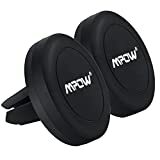 You can even use the ring holder as a stand to watch movies or simply leave it on your desk at work, home or can even use this as a bedside stand. In addition to this we have added a special hook for your car or anywhere you think it would come handy like your home or work, secure down the hook then you will be able to mount your device using the ring holder to the hook allowing your phone to become a hands free instrument capable of changing angles and views. Small, discrete and elegant, made for everyone.